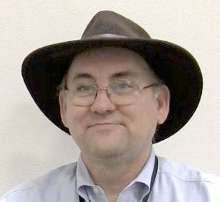 Well it is Computer Science Education week. Are you doing anything at your school for it this week? 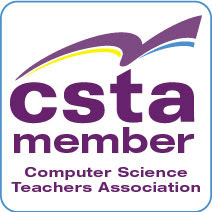 I attended three different CSTA chapter meetings in the last couple of weeks (northern New Jersey, Massachusetts, and New Hampshire) and there was a lot of talk about CS Ed week at all three meetings. Check out the CSEdWeek web page to see what is going on around the country. And now a few other interesting links. The XNA Game Studio team announced Dream.Build.Play for 2011. While students should absolutely be entering the game division of the Imagine Cup Dream Build Play is open to everyone including people who develop software for a living. So you pros out there looking to make a name for yourself in game development this is the one for you. Are you ready to compete? Dream.Build.Play is a competition where you can create and submit your XNA Game Studio 4.0 game for Xbox 360 to win prizes, including the chance to have your game featured on Xbox LIVE Arcade. Registration will open in late February 2011. A thought provoking post on the CSTA blog Maybe Course Proliferation Is a Bad Idea? Could we possibly have too many computer science courses? Types of courses that is – not too many courses in too many schools. Check out the post and leave your thoughts over there. Did you know that Microsoft has been ranked as one of the top corporate citizens. One of the reasons I am proud to work here. A lot of people seem surprised by this which tells me that Microsoft is not the company some people think they are. The article makes for an interesting read. Are you using Visual Basic and thinking that the C# people are having all the fun with Smart Phone programming? Well, good news, Visual Basic Windows Phone 7 Developer tools is now available! Like a lot of people I have an affection for lists that condense a lot of wisdom into a brief set of statements or items. Some time ago I wrote a series of posts on Programming Proverbs for example. That list (reproduced at the bottom of this post) came from a book that was every influential to me, especially early in my career. Each proverb by it self said a lot but mostly to someone who all ready know something about the topic. The original book had a sort of chapter on each proverb and did a wonderful job of elaboration and explanation. My series of blog posts was a couple of paragraphs on each from my own experience. Why do I bring tis up now? Well I found a couple of other posts of somewhat similar “proverbs” if you will. I thought I would share them with you and perhaps suggest a look at my own series in case you missed it the first time around. Every problem can be solved by breaking it up into a series of smaller problems. The computer will always do exactly what you tell it to. Writing the code is the easy part. Writing it so someone else can understand it later is the important part. Make it work, then make it elegant, then make it fast. I’m not sure these are the end all and be all and I have a mind to explore them at some length one of these days. But I thought they were worth sharing in “raw form” to see if I can get some conversation going. Are these right? Are there two more important things? Is it even helpful to have the computer programming and software engineering divide? The other post is 20/20: Top 20 Programming Lessons I've Learned in 20 Years subtitled “This post could be viewed as hard lessons learned for newly graduated college students, entry-level programmers, or advanced developers who just want a chuckle.” Also not a new post but I just discovered it. There are some 60+ comments which may add value as well. I like this list although, as with many such lists, I’m not sure all of them would be on my top 20. But then each individual has a different experience and a different idea of what key learning's are.